The Orthopsidae are a group of echinoids of uncertain affinities known from the Lower Jurassic to the Upper Cretaceous (Fell & Pawson 1966). Characters (from Fell & Pawson 1966): Test small or large, regularly hemispherical or globular. Lantern camarodont (known only in Orthopsis). Ambulacra simple, without compounded plates, at most with only incipient triads; zygopores arranged in straight meridians. Tubercles perforate, noncrenulate. Apical system dicyclic, exceptionally with posterior oculars insert. Spines unknown. [FP66] Fell, H. B., & D. L. Pawson. 1966. Echinacea. In: Moore, R. C. (ed.) 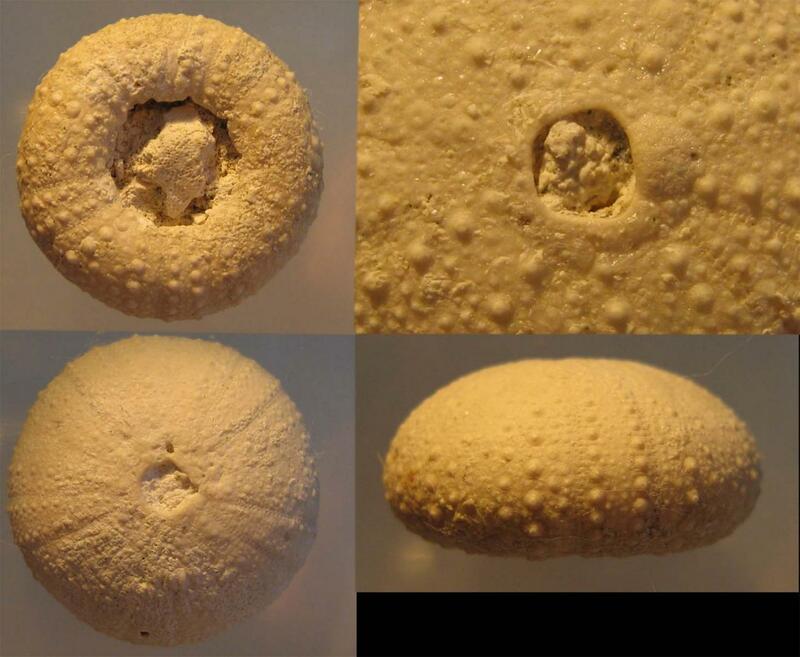 Treatise on Invertebrate Paleontology pt U. Echinodermata 3 vol. 2 pp. U367–U440. The Geological Society of America, Inc., and The University of Kansas Press.